Finnish phone manufacturer Nokia has announced plans to cut a further 4,000 jobs at its plants in Finland, Hungary and Mexico as the struggling firm tries to reduce manufacturing costs by re-locating production assembly work of its smartphones to Asia. The move is eerily reminiscent of Nokia’s announcement the same time last year that it would cut nearly 20,000 jobs across its company, as the firm battled dropping sales in Europe and the US amid pressure from more innovative rivals like Apple and the flurry of manufacturers offering Android OS smartphones. Nokia also reported (PDF) a 74 percent fall in fourth quarter earnings towards the end of January, with sales of its Windows Phones failing to dent the runaway dominance of Apple’s iPhone handsets. 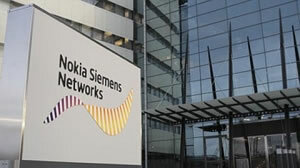 The new partnership with Microsoft wasn't enough to compensate for diving sales of previous Nokia smartphones, despite smartphone models such as a Lumia 800 selling over one million units and gaining a positive public reception. The main aim of moving production over to Asia is to get products to the market faster. "By working more closely with our suppliers, we believe that we will be able to introduce innovations into the market more quickly and ultimately be more competitive," said Niklas Savander, executive vice president of Markets for Nokia. The three existing factories will continue to play an important role though, where workers will focus on final adjustments rather than making of any new smartphones. “They give us a unique ability to both provide customization and be more responsive to customer needs," Savander said. As part of the cost cutting measures, 2,300 workers at the factory in Komarom, Hungary will be cut, with 700 in Reynosa, Mexico, and a further 1,000 in Salo, Finland. The firm is offering a full support program for affected workers, including financial support and local re-employment assistance. Nokia led phone shipments worldwide in 2011, although its fourth quarter numbers were down 8.2 percent. Total shipments for 2011 reached 417.1 million units, 7.2 percent or 35.9 million handsets less than the previous year.